Neuroterus anthracinus is a gall wasp that forms chemically induced leaf galls on Oak trees. 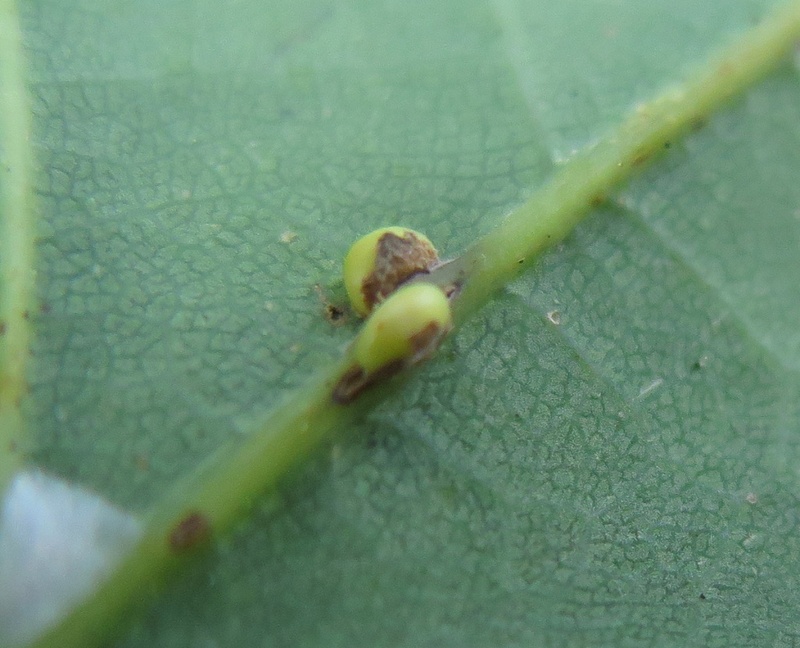 It has both bisexual and agamic generations and in consequence forms two distinct galls, the Oyster Gall and the April-bud Gall. The Oyster Gall is found on the the leaf underside, rarely above, and is around 0.3 cm across with flaps of tissue either side where the gall is attached to the the midrib (or occasionally a main vein). The hall is yellowy cream and may have red or brown spots. 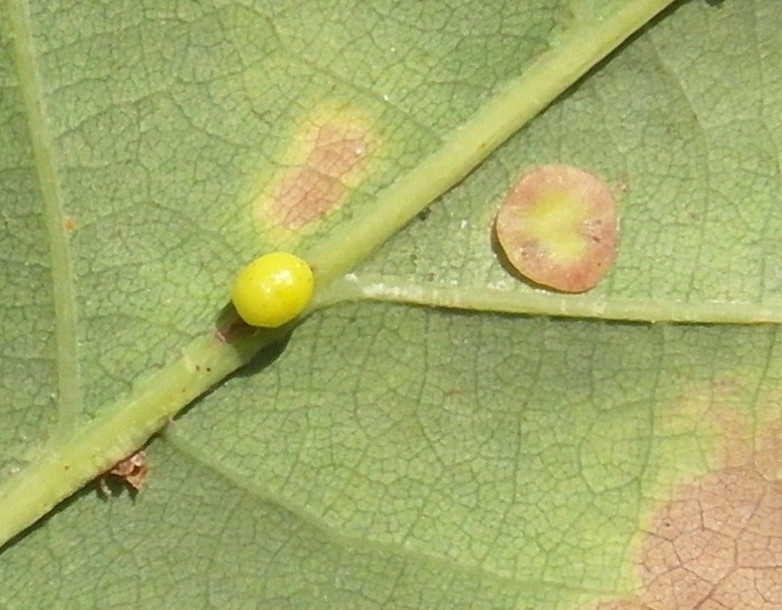 The gall is more likely to be seen than the adult wasp. Anywhere that the host tree is present. 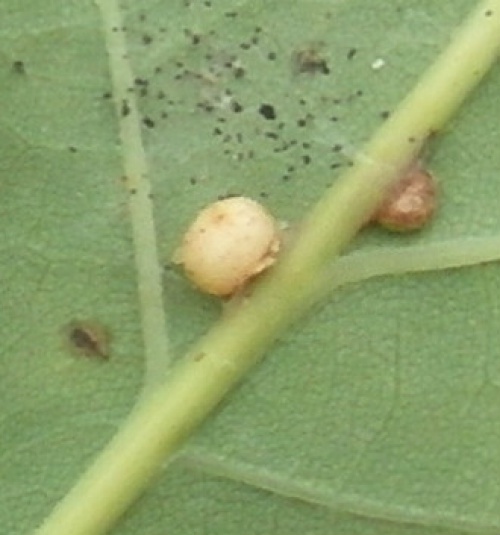 The parthenogenetic female of the agamic generation hatch from the Oyster Galls. 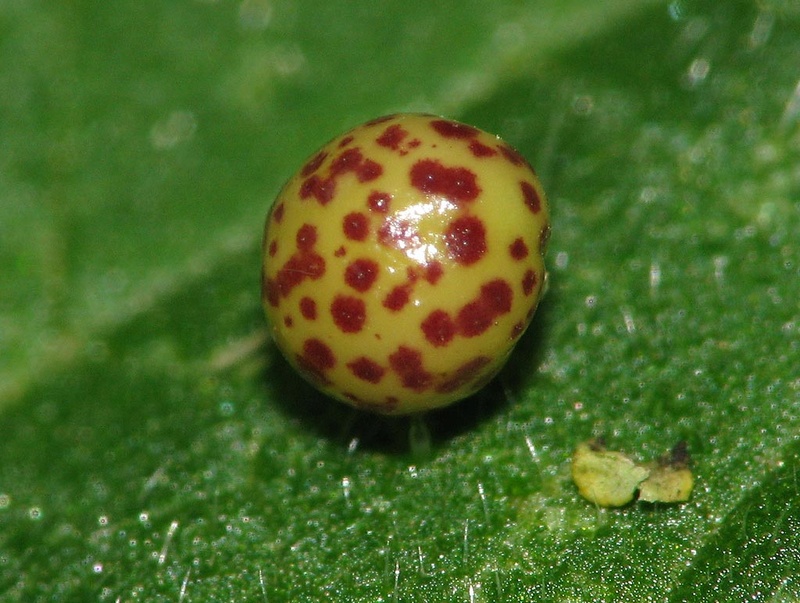 They lay eggs within the buds which result in the bisexual generation. The April-bud gall is of brief duration, the bud swelling and the insect emerging within a week from the smooth and oval 0.8 cm gall, tucked up within the bud scales. 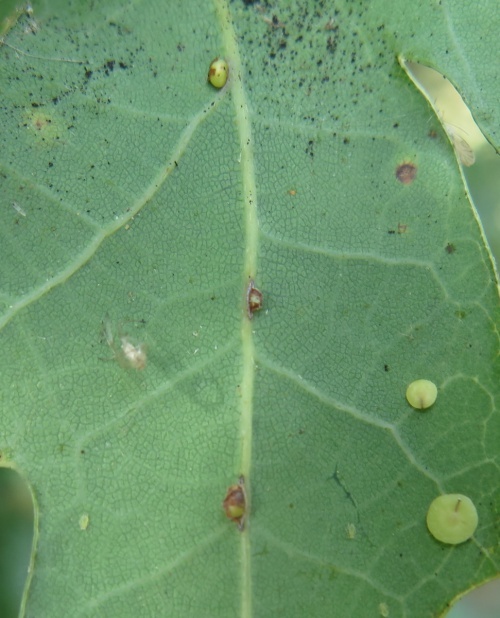 The males and females emerge from the buds around May; their fertilised eggs placed in the leaf lamina result in the Oyster Gall described above. 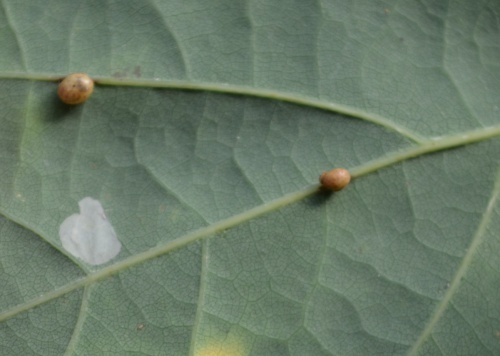 Quite frequent and widespread in Britain.